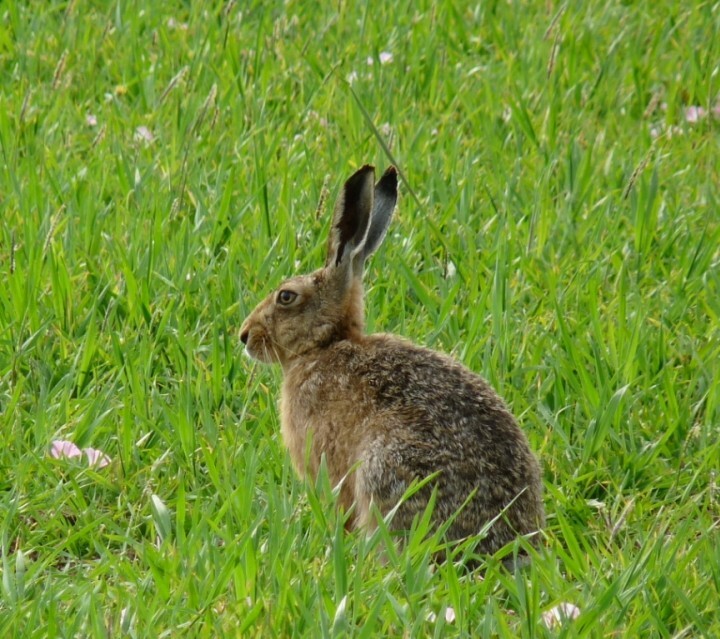 In the field the brown hare can be mistaken for the rabbit and so it is important to look for the hare’s long black -tipped ears and black tail. 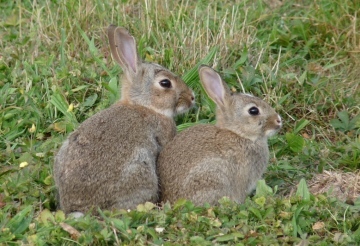 The rabbit’s ears are not black-tipped and the tail is white. Also the hare is more powerfully built than the rabbit and its strong, long legs enable it to travel at great speed to escape from its enemies. One of the places to witness the meaningful antics of Eostre’s sacred animal is on the intensively farmed, well-drained arable lands of north-west Essex and the coastal areas. Here the hares are still able to find sufficient food to sustain them and the hedges and woodlands continue to give them safe harbour. Hares are more likely to be active on warm sunny days from March to May and these are the best areas in Britain to see lots of them. Why not witness this ancient spectacle for yourself? A car makes a good portable hide, and a pair of binoculars, or a telescope, and a thermos of tea are musts. Good hare watching.